I came across this recipe while paging through a magazine that Lissa subscribes to – Real Simple. It was an article that featured dinners you could make for a meal exchange and gave you recipes to make 4 meals at a time (16 servings!). I glanced at the necessary ingredients and realized we actually had them ALL in our fridge sans the Monterey Jack cheese. 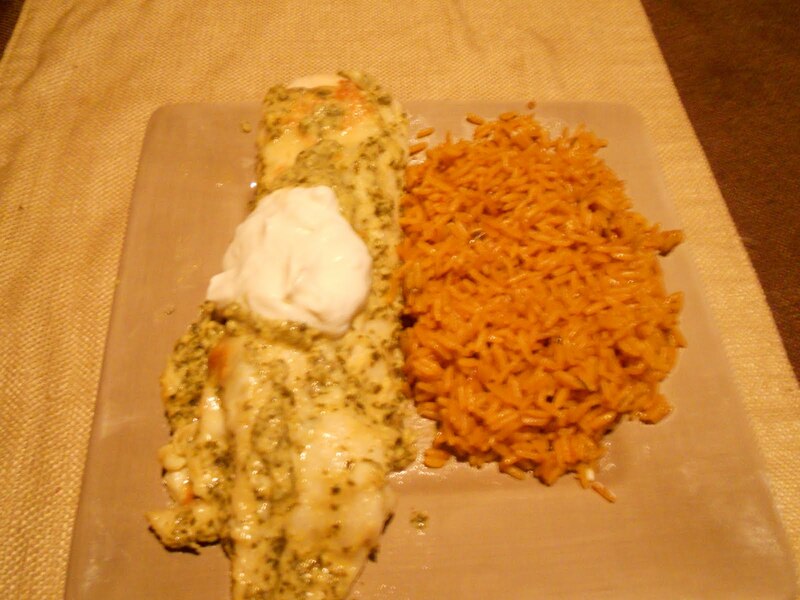 I divided the portions by 4, added a box of mexican rice we had sitting in the pantry and created the picture above. 1. It has simple ingredients! 2. The meal is easily extrapolated if you have company coming over or want to freeze some for later in the week. This is a perfect recipe to use leftover roasted chicken!